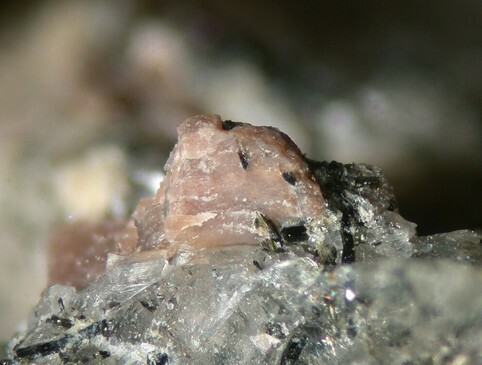 Organovaite-Mn: Mineral information, data and localities. 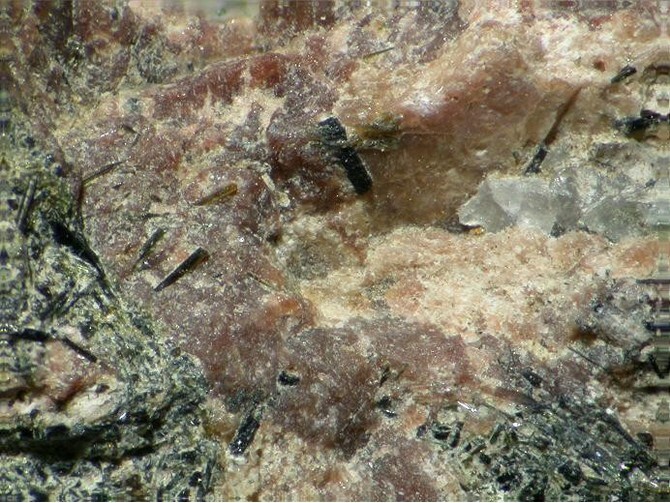 This page provides mineralogical data about Organovaite-Mn. N.V. Chukanov, I.V. Pekov, A.E. Zadov, S.V. Krivovichev, P.C.Burns, Yu. Schneider (2001): Organovaite-Mn,K2Mn(Nb,Ti)4(Si4O12)2(O,OH)4·6H2O, a new labuntsovite-group mineral from the Lovozero massif, Kola Peninsula. 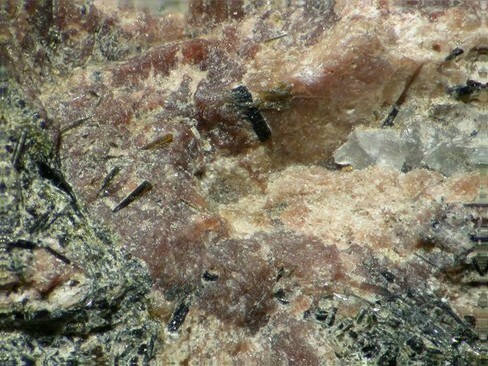 Zapiski Vserossiyskogo Mineralogicheskogo Obshchestva: 130(2), 46-­53. American Mineralogist (2002): 87: 1731-1735 (abstract). European Journal of Mineralogy (2002): 14: 165-173. N.V. Chukanov, I.V. Pekov, A.E. Zadov, S.V. Krivovichev, P.C.Burns, Yu. 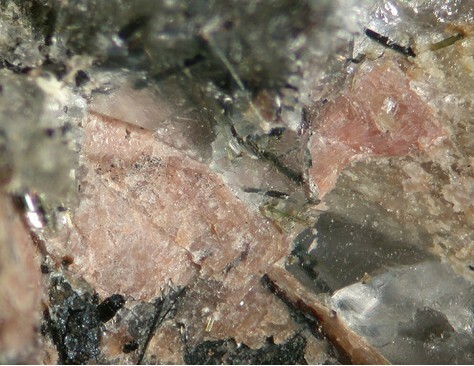 Schneider (2001): Organovaite-Mn,K2Mn(Nb,Ti)4(Si4O12)2(O,OH)4·6H2O, a new labuntsovite-group mineral from the Lovozero massif, Kola Peninsula. Zap. Vseross. Mineral. Obshch. 130(2), 46­53; Pekov, I. et al (2003): New Data on Minerals: 38: 20-33.